Your holiday list is a mile long and still growing, with gift needs for everyone from your mom to the bus driver to the mail person. How do you even decide where to start? Lucky for you, we've put together this guide to help you choose a great gift for anyone in your life who enjoys a little "me" time. By the time you're finished, you'll probably need some yourself. Our teachers, aides, and bus drivers do so much for our kids, so do them a favor: skip the soaps and perfumes. We guarantee they already have a huge stock pile sitting under their sink at home, never to be used. Instead, get them a gift certificate for an activity they can do alone or with a loved one. 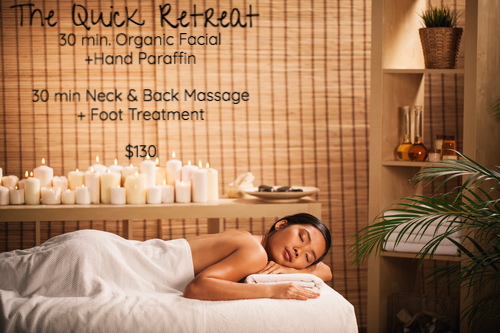 We recommend a Spa Package like The Quick Retreat ($130, The W Spa). It can be done all in one day, or broken down into two mini spa days. We all have one in our lives- she's the girl who can go from pajamas to glamour in 5 minutes flat. She's not high-maintenance; in fact she owns just a few makeup essentials that she swears by, and that's all she needs. 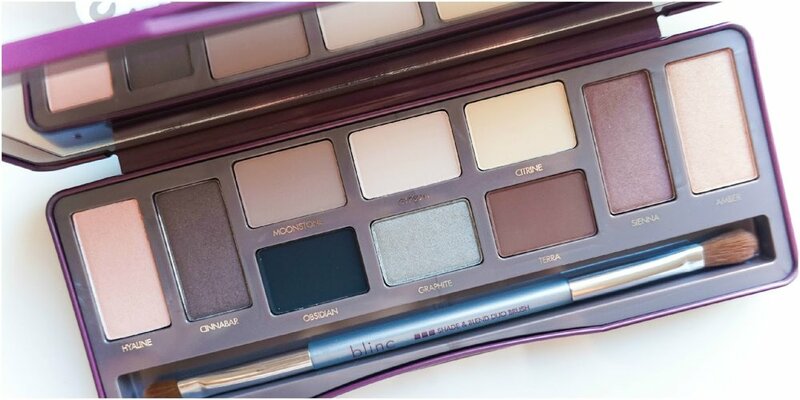 Help her enhance her quick and easy style routine with the tested and true Blinc Shadow Fusion Eye Palette ($48, The W Spa). These cosmetics provide long wear that stands up to humidity and sweat. It's compact and lightweight, so she can carry it in her purse. Shadow Fusion Eye Shadows are perfect for professionals who like earthy tones with just the right amount of shimmer, but they can also be glitzed up for evening looks. We love organic products that are good for our bodies and good for the Earth! 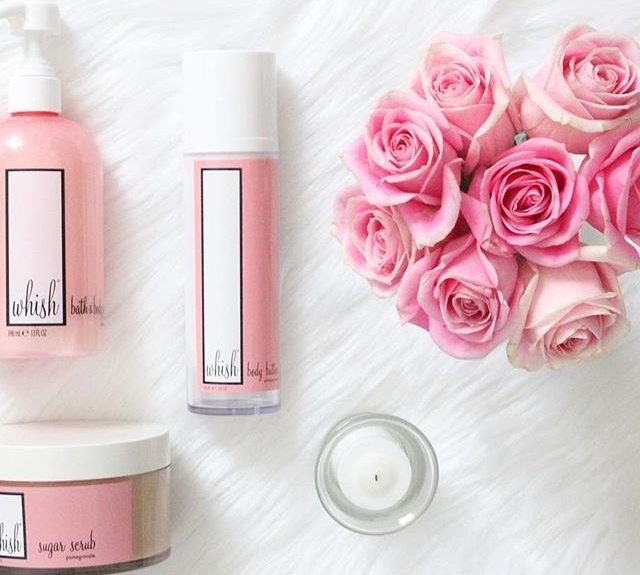 We recommend a bath set from Whish Beauty: luxurious Sugar Scrub, Shower Gel, and Body Butters that come in a variety of scents, from spicy to fruity to floral ($12-$36, The W Spa). These products are made with all organic and natural ingredients that are even safe for kids and pregnant women. Concentrated formulas go a long way, so they can enjoy these gifts long after the holidays are over. They make great stocking stuffers, and special holiday gift sets are available at prices so irresistible you'll want to get one for yourself while you're at it! For the tired, sore muscles of busy soccer players, gymnasts, and swimmers, the best answer is our Alyse Claire RELAX Muscle Soak ($12, The W Spa). 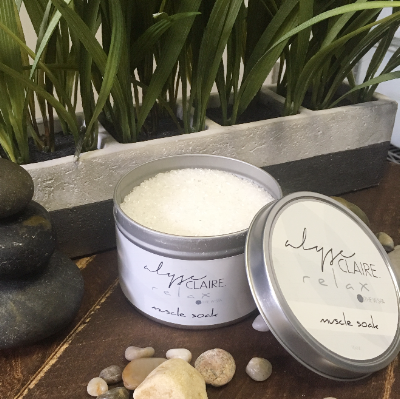 Made with natural Epsom salt infused with eucalyptus and peppermint essential oils, this bath-time treat fills the room with relaxing aromas. When mixed with warm water, Epsom salt breaks down partly into magnesium, which helps regulate muscle and nerve function. This can help soothe delayed-onset muscle soreness and even arthritis pain or aches from the flu. This is someone who is so loved by so many people, they've already received every gift you can possibly think of. They spend so much time giving back to others, you need to make sure they get a little time to themselves! Give the gift that keeps on giving with one of our Black Friday Service Series. You can get them 5 Massages or 5 Facials and book them all in advance so they have that time set aside to enjoy all year long. Know someone who attends a lot of special events? 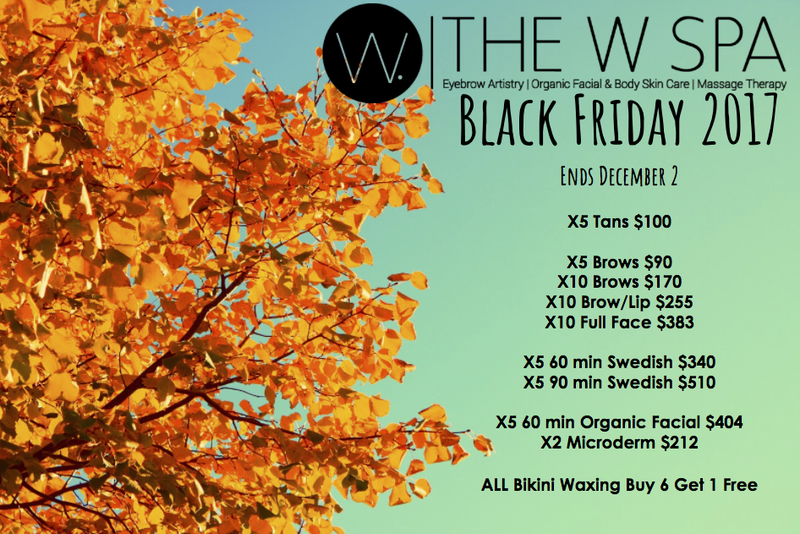 5 Organic Airbrush Tans for only $100 is the perfect way to keep that warm summer glow during the colder months. Deals on favorites like Waxing Services are the perfect way to make sure everyone is looking their best for family photos!